← Which way to a DNA sale? 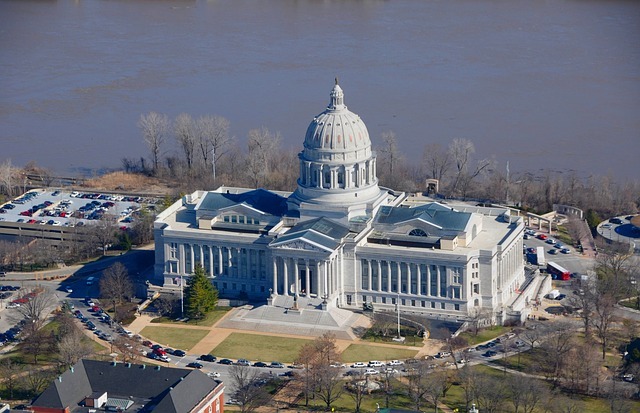 In January 2015, I wrote about Missouri House Bill 647, which was then in the system. Had it passed, it would have allowed adult adoptees who were born in Missouri to obtain their original birth certificates. The bill did not pass as written. Reader comments on my post represent a sampling of the emotions evoked by the topic. Advocates continue to work for original birth certificate access in Missouri. Yesterday, their hard work was rewarded with the pre-filing of a new bill by State Representative Don Phillips. House Bill 1599, if made law, shall be known as The Missouri Adoptee Rights Act. Advocates call this a cleaner bill than its predecessor. HB 1599, as it is written, provides for an adopted person, who was born in Missouri, and who is at least age 18, to obtain a copy of his or her original birth certificate. An application and the applicant’s identification will be required. Remember, this is the pre-filing of a bill. It has a long way to go through the system in order to become a law. Without support, HB 1599 could fail. There is presently no hearing scheduled, and the bill is not on a House calendar. But do not be alarmed. Lawmakers start a session in January 2016. If you were disappointed that HB 647 did not pass, and if you hope that HB 1599 will pass, make your position known to your lawmakers. 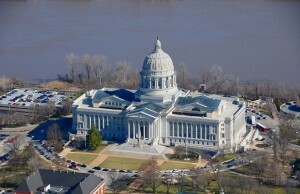 To keep updated on the bill’s progress, watch the Missouri House of Representatives page. Consider following advocacy groups for current information. The Missouri Adoptee Rights Movement keeps track of legislation, and they have a Facebook page. Missouri’s current law does not allow for adoptees to obtain their original birth certificates in the way that people who were not adopted obtain them. After I first wrote about the issue, I heard from people without access to their original birth certificates. They include people adopted by step-parents after a biological parent died. They include people born in Missouri and adopted across the state line in Illinois, where OBCs are available to adopted persons. There are many more stories. People who care deeply about this issue just want what everybody else is allowed to have. The right to obtain their birth certificate. Here’s to another chance at that right. This entry was posted in Adoption and tagged Missouri, Original Birth Certificate. Bookmark the permalink. I’m hoping that this goes through! It’s are right to have our birth records! This would be a great thing! I thank you for the information you have posted. I was adopted in Kansas City, Mo. in December 1943. My birth mother resided at The Willows and my amended birth certificate shows I was born at “City Hospital”. My adopted father died when I was 4 yrs. old and my adopted Mother destroyed my adoption papers before her death in 1991. She was very secretive and gave me absolutely no information. I wish I had been born in the state of Kansas where you can secure the OBC. I am 72 years old and still would like to know my background. I know I must have half-siblings out there somewhere. I joined Soundex and the Kansas City Adult Adoptees years ago, to no avail. A very nice older gentleman from that group told me that girls came to The Willows from all over the country and it was possible she was not from that area. I would like to be included in future posts from you on the progress of HB1599 or any other info you might have. Adrienne, I suggest that you consider an autosomal DNA test. DNA isn’t something that anyone can erase, toss in the burn pile, or hide from you. Ancestry DNA is having a sale right now. I posted about it tonight. I also suggest you join the state registry. However, stay tuned, because the new bill has made it to senate committee hearings. If it passes those and the senate, it will just need the governor’s signature. This is the time to contact your senator’s office and voice your support. My grand-mother was adopted from the Willows in 1924. I have an original birth certificate and an adoption paper. Does that mean this was the mother’s maiden name? It lists no name for parents only that the mother was married. Sounds strange. I hired a 3rd person investigator and since they cannot prove that the birthmother is dead, they cannot release what she found out. The birthmother would have to be 115 years old by now. I’m not sure which name you are wondering about as the birth mother’s maiden name. You mention the birth record and an adoption record, but say no names were listed for the parents. If the parents were married, the child’s surname is likely the mother’s married name. Remember, those adoption records were probably not closed in 1924. The move to close records swept the country in the WWII-era. So, you are fortunate to have papers from a time at which the records were open. Don’t lose them.